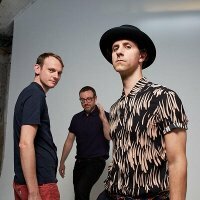 The Geordie quintet, Maximo Park, are back on tour in the spring. While they are polishing their imminent third album (produced by Nick Cave/Grinderman producer, Nick Launay), the band, fronted by (the equally sharp as his fashion designer homonym) Paul Smith, will embark on a two-week tour of England, which will resume in their hometown of Newcastle-Upon-Tyne on May 14th, via the cities of Liverpool (May 16th) , Birmingham (May 19th) , Nottingham (May 20th) , Leeds (May 22nd) , Manchester (May 23rd) and London (May 27th) , and will end in Bristol on may 28th. Tickets, which cost £16 to £17.50 (plus booking fee), will go on sale on Thursday, 10AM.